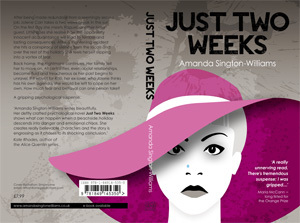 Interview about my book Just Two Weeks plus a competition to win a copy! I hope you’re not fed up with me bleating on about my novel, but I want to post this interview as it covers much more than the usual. Within the interview there are three short extracts from the book so you can have a peep at the writing. You can read it here . 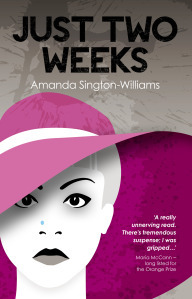 If you like what you read you can win a paperback copy of my novel Just Two Weeks. All you have to do to find the answer to the question is to go to ‘Look inside’ on the Amazon page. You can ‘look inside’ here. There is not much time however as the competition ends on 30th November. And so sorry to all of you who live beyond the shores of UK, as it is only open to UK residents. See the competition here. My next post will be about what inspired me to write Just Two Weeks.